Please type your desired tags, e.g. Microbiology, Cell Biology, Fibrosis, Physics, Genomics, Systems and Computational Biology, Communication & Culture, Critical Media Studies, Institute for Urban Policy Research, Computer Engineering, ChIP-seq, lncRNA biology, Financial & Managerial Economics, Organizations, Strategy and International Management, Inquiry, Holocaust History and Literature, and etc. 2001–2001	with A.J. Quackenbush. 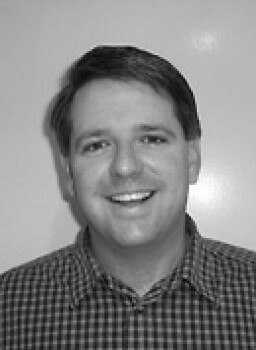 Presented at the Annual Meeting of the American Political Science Association, San Francisco, CA August 30-September 2, 2001. 2005–2005	Presented at the Annual Meeting of the American Political Science Association, Chicago, IL, September 1-5, 2004. 2000–2000	American Politics Research Group, University of North Carolina, Chapel Hill. December 1, 2000. 2002–2002	Presented at the Annual Meeting of the American Political Science Association, Boston, MA August 26-September 1, 2002. 2005–2005	Presented at the Annual Meeting of the American Political Science Association, Washington, DC, September 1-4, 2005. 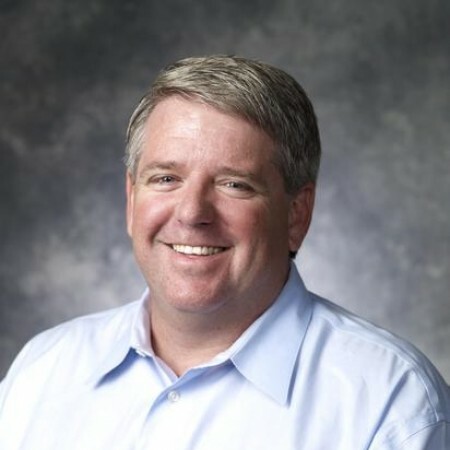 2007-present Associate Program Head and Director of Graduate Studies, Political Science, UT Dallas. 2005-2007 Executive Committee, Political Science, UT Dallas. 2006 American Politics search committee, UT Dallas. 2003-2005 Faculty Senate, Northern Arizona University. 2000-2001 Faculty Senate, Binghamton University. 2000-2001 Graduate Committee, Department of Political Science, Binghamton University. 2000-2001 American Politics Search Committee, Binghamton University. 1999-2000 American Politics Search Committee, Binghamton University. 1999-2000 Graduate Committee, Department of Political Science, Binghamton University. Reviewer, National Science Foundation, American Political Science Review, American Journal of Political Science, Journal of Politics, Legislative Studies Quarterly, Journal of Theoretical Politics, American Politics Review, National Science Foundation, Public Choice, Political Research Quarterly, Electoral Studies, British Journal of Political Science, Journal of European Public Policy, European Journal of Political Research, and Party Politics. Intramural Grants Program, Northern Arizona University. $5,000 for a study on the impact of redistricting on House elections. Summer 2004. Deans Workshop Grant, "Methods and Politics," $3000, 2002-2003, with David Clark, David Rueda and Wendy Martinek. Deans Workshop Grant, "Democratic Institutions, Preference Aggregation and World Politics," $4000, 2001-2002, with David Clark and Patrick Regan. Dean's Research Semester Award. Binghamton University, 2001-2002. University of California Regents Dissertation Fellowship, Spring 1997. Scaife Foundation Fellowship to attend ICSPR summer statistical program, 1993. Appeared on Think with Krys Boyd on KERA Channel 13 here in Dallas talking about my book. Appeared on local radio station (KRLD 1080 am) as a guest political commentator for a 3 hour election wrap up program for the Texas presidential primary election, March 4, 2008. Was one of four invited speakers, including one member of Congress, at North Central Texas College's 2nd Annual Conference on American Leadership, April 12, 2008, where I spoke about redistricting and representation. My research with Patrick Brandt involving predicting the 2006 Congressional elections was quoted extensively in an article U.S. News and World Report. Globe (Kansas) on 1/8/04 and in the Chattanooga Times Free Press (Tennessee) on 1/25/04. Spoke to Pi Sigma Alpha meeting on the Presidential Primary Process, February 2004. Appeared as an hour long guest on NPR's "Talk of the Nation" to discuss the decennial census. March 7, 2001. Stone Sweet, Alec and Thomas L. Brunell. 2000. "The European Court, National Judges, and Legal Integration: A Researcher's Guide to the Data Set on Preliminary References in EC Law, 1958–98." Working paper. Robert Schuman Centre for Advanced Studies. European University Institute. Brunell, Thomas L. and Amihai Glazer. 1999. "Evidence for the Irrationality of Governmental Policy." Working paper, Center for the Study of Democracy, U.C. Irvine. Stone Sweet, Alec and Thomas L. Brunell. 1997. "The European Court and the National Courts: A Statistical Analysis of Preliminary References, 1961-95." Working paper 14/97, Jean Monnet Center, Harvard Law School. Appeared on News Channel 34 (ABC) on 11/12/00 discussing the process by which we amend the constitution. Appeared on Fox 40 on election night 11/7/00 as an analyst discussing the election. Appeared on WBNG TV (CBS) on 11/2/00 discussing voter fatigue. Appeared on News Channel 34 (ABC) on 11/2/00 discussing the Electoral College. Quoted in Press and Sun-Bulletin on 10/14/00 in an article about the 26th district Congressional election in New York. Appeared on WBNG TV (CBS) with students in my class discussing the second Clinton/Lazio debate, 10/8/00. Appeared on News Channel 34 (ABC) discussing the 2000 NY Senatorial primary, 9/12/00. Appeared on WBNG TV (CBS) News discussing the 2000 presidential primaries. March 7,2000. Appeared on WBNG TV (CBS) News discussing Census 2000 and its likely impact on New York. January 20, 2000. Appeared on WBNG TV (CBS) and News Channel 34 (FOX) talking about turnout in local elections. October 2, 1999. Brunell, Thomas L. "Accurate Census Count Vital for New York." The Press & Sun-Bulletin. July 25, 1999. Page 6E. For the first time in decades, the nation is witnessing an intensively competitive race for the Democratic nomination for president.onventional wisdom holds that competitive elections are good for the electorate because they attract more people to the polls and keep elected officials honest by making them more closely follow the wishes of the electorate. But is competition always a good thing for voters? Given a choice, American voters would rather win than compete, according to Thomas Brunell, an associate professor in the School of Economic, Political and Policy Sciences at The University of Texas at Dallas, whose new book argues for less competition in general elections, not more. 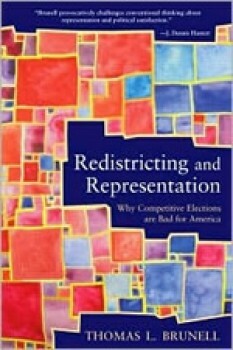 In his new book, Redistricting and Representation: Why Competitive Elections are Bad for America, (2008, Routledge), he says rather than draw districts 50-50, draw them so that they are overwhelmingly of one party or the other. Such a non-competitive system, would result in more competitive primary elections, better representation for all and less gerrymandering, the process in which the party in power draws district lines in order to dilute votes from the other party.